501(c)4 focused on cutting spending, privatizing social security, and deregulation. 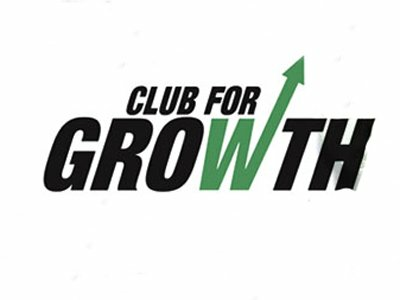 Club for Growth is a national network of thousands of pro-growth Americans, from all walks of life, who believe that prosperity and opportunity come through economic freedom. We work to promote public policies that encourage a high growth economy and a swift return to America's founding principles primarily through legislative involvement, issue advocacy, research, training and educational activity. The primary tactic of the separate Club for Growth PAC is to provide financial support from Club members to viable candidates to Congress who believe in pro-growth policies, limited government, low taxes and economic freedom, both in Republican primaries and general elections.